Situated in beautiful tropical North Queensland, Whitsunday Anglican School, Mackay, is a vibrant co-educational day and boarding school catering for students from Kindergarten to Year 12. Ranked among the top schools in regional Queensland for academic success, students excel in a supportive and inclusive environment, where exploration and critical thinking is encouraged and their individual potential is developed. 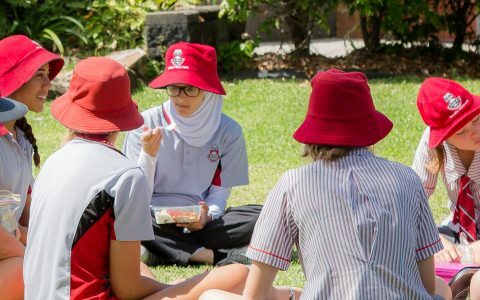 Whitsunday Anglican School welcomes overseas students, and through our international student program we provide them with opportunities to develop intellectually while experiencing Australian cultural immersion. International students contribute to the cultural fabric of Whitsunday Anglican School. Our strong moral foundations are built on our values of Christianity, Tolerance, Excellence, Dignity and Trust- and these principles guide our School’s character and traditions. For international students wishing to apply for a position at Whitsunday Anglican School please follow the below steps. To find out more about the School please request a Whitsunday Anglican School Prospectus or by completing the Online Enquiry Form. If you would like to discuss this with our Registrar please email registrar@was.qld.edu.au. You will need to complete the International Enrolment Application Form – as part of this application process our will need to provide the School with your child’s latest school reports, passport information, copy of birth certificate, copy of a sample of a story written in English (approx. 300 words) and any other documentation (medical or otherwise) that will assist the School in supporting your child’s educational journey with us. The Registrar will make an appointment for a Skype interview with the Head of Senior/Middle School and our ESL (English as a Second Language) Coordinator. This will occur once the above documents have been submitted to the School. Our School will assess the documentation, the Skype interview and the ESL Skype test. You will be required to complete a Written Agreement. The School will complete the Confirmation of Enrolment (CoE) and Confirmation of Appropriate Accommodation and Welfare arrangements documentation (CAAW – if required). You will need to submit to your country, the International Student Visa documentation to initiate the Visa process. Please carefully read the below relevant international student policies and procedures.